As an industry leader invested in training, safety, and innovation, Pyro Spectaculars by Souza participates in several regional, national, and international associations. The NFPA is an international nonprofit organization established in 1896, whose mission is to reduce the burden of fire and other hazards on our quality of life. The NFPA advocates for consensus codes, standards, research, training, and education. As the world’s leading advocate of fire prevention and an authoritative source on public safety, the NFPA develops, publishes, and disseminates more than 300 consensus codes and standards intended to minimize the possibility and effects of fire and other risks. to promote responsible regulation of the fireworks industry. For more than 60 years, the APA has set the agenda and determined the priorities that serve the common good of the companies and professionals in the fireworks industry. 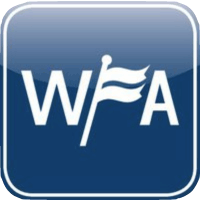 Founded in 1922 and incorporated in 1945, the WFA is a nonprofit trade association serving the fair industry throughout the western United States and Canada. The association’s primary purpose is to assist in maintaining the highest professional standards within the fair industry through a voluntary network of individuals and organizations. The WFA promotes the prosperity of fairs via educational activities, training programs, and legislative advocacy. Currently, the WFA serves more than 800 members, representing fair-related businesses, fair management, fair board directors, festivals, and industry associations. This membership is represented by a 23-member elected board of directors that governs the activities and policies of the association.